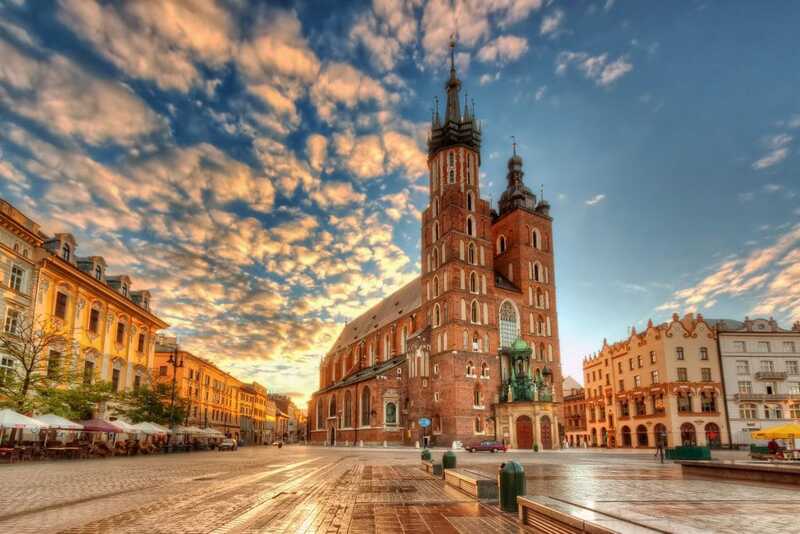 St. Mary’s Basilica on the Main Market Square in Kraków is one of the town’s famous landmarks. Extraordinary are the two unequal towers, the higher one is 81m high, the other one is 12m smaller. According to an ancient legend, the towers were built by two brothers – each worked on one tower. 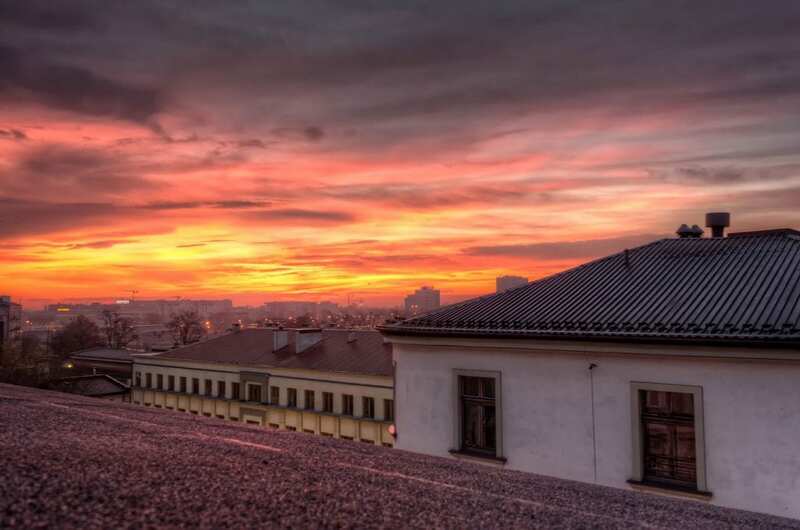 The Wawel, residence of the Polish kings for so many centuries, was still enlightened and offered, together with the clouds, a breathtaking scene. 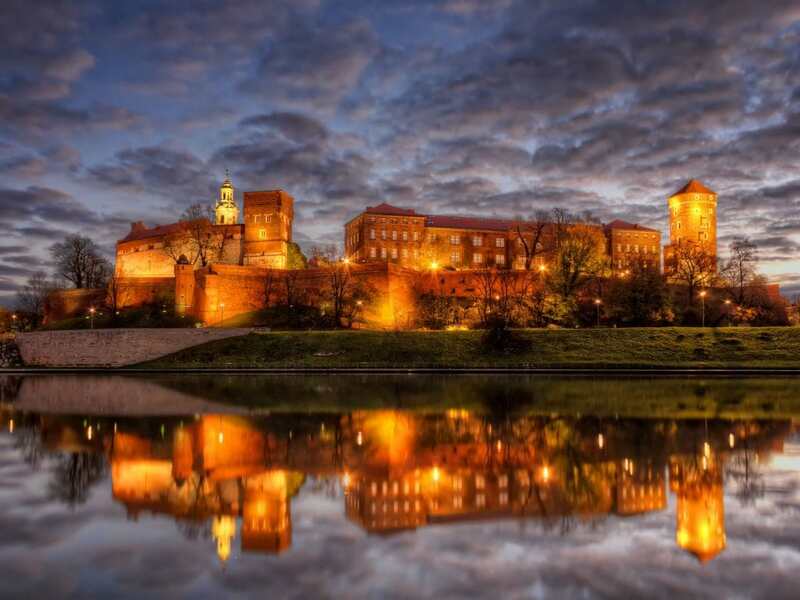 I set up my tripod in the mud of the Vistula river bank and just as I finished shooting, the lights went off. I guess, once more I was incredibly lucky, but next time I rather wake up 10 minutes earlier. The Altarpiece of Veit Stoss is the largest Gothic altarpiece in the world. It was built in the 15th century by the Bavarian sculptor Veit Stoss and comes with a long history. 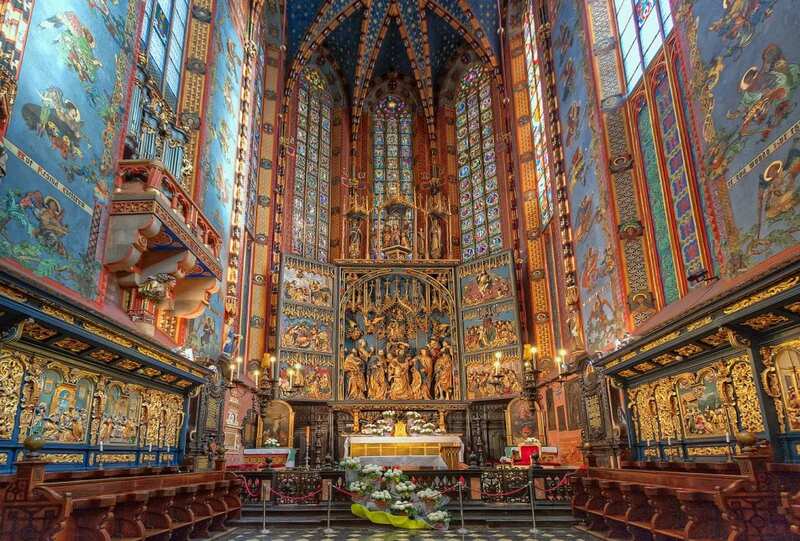 For centuries it was located in the St. Mary’s Basilica in Kraków (Kościół Mariacki) until the Nazis carried it off to Nuremberg during the Second World War.